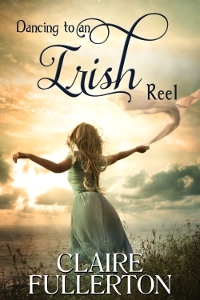 Dancing to an Irish Reel is a lovely novel by Claire Fullerton. It’s set near Galway in Inverin, a small village inside the Gaeltacht (the area of Ireland when Irish is spoken exclusively.) Fullerton’s heroine, Hailey, has moved there to work in The Galway Music Centre for traditional music. This leads to her meeting Liam, a good-looking musician who is dedicated to his craft and afraid of love. The title refers not only to traditional music but also to the dance Claire and Liam go through in their relationship. They are obviously attracted to each other, and Fullerton weaves their partnership nicely. I found I was fully invested in their shared evenings at the pub and nights at Hailey’s little rented house. However, Dancing to an Irish Reel isn’t a romance novel but contemporary fiction. There’s a lot of friendship in the book, between Hailey and Shannon from the centre, as well as her neighbor Mick and his girlfriend. Fullerton brings the Galway area to life with gorgeous descriptions of long walks, including a sinister exploration into a graveyard at Mick’s behest, and old pubs where Irish music is performed. The two sand-colored boulders at the tip of the ledge overlooking the sea gleamed spectrally in the moon’s misty reflection. The drop to the sand below was only about eight feet, and I stood at the edge, looking down at the otherworldly moss-covered rocks that made a promenade into the sea. Turning around, I looked at Liam, who leaned against a boulder, watching me. “Mrs. Donoghue, I’m Hailey, I’ve come to see Shannon,” I said. “Shannon, is it?” she responded, not moving out of the doorway. “Does Shannon know you’re coming to see her?” she interrogated. Mrs. Donoghue closed the door and left me standing on the sidewalk. I walked out to the street, looked up at Shannon’s bedroom window, put my index fingers together and whistled sharply. Shannon’s head appeared through her window’s lace curtains. “Will you call off the guard?” I called up. “Just a minute.” Shannon disappeared, and a moment later, she opened the front door. There were a few minor details that jarred me as I read. Some storylines seemed to fade away with no reason. I would have liked to see the graveyard walk explored to live up to its promise, since it’s mentioned in the first chapter. Also, the Centre itself ... (spoiler alert, highlight to read) dies a natural death. It would have been nice to discover what happened with the music and all the workers at the centre. In this case, there was no need for fear. Fullerton caught the flavor of Irish life perfectly, and her characters leap off the page with their speech. She has an excellent ear for language. My one caveat was the use of ‘yah’ – it appeared in Chapter 6 and showed up often enough to bug me. Writing colloquial speech is very tricky, and while Fullerton captured the essential Irish prose (cheeky and lyrical at the same time) the overuse of ‘yah’ dragged down her prose. However, these minor points didn’t spoil my enjoyment of Dancing to an Irish Reel. 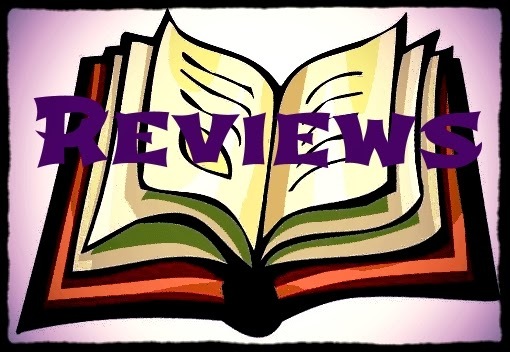 The book is intelligent and entertaining, and I recommend it as an absorbing read. If you like character development and thoughtful romance in a musical setting, this novel is a great choice. Get even more book news in your inbox by signing up for our newsletter: http://eepurl.com/mHTVL. A free ebook was provided for this review. Girl Who Reads is an Amazon advertising affiliate; a small commission is earned when purchases are made at Amazon using any Amazon links on this site. Thank you for supporting Girl Who Reads. Thank you for this amazingly thorough review! WOW - An Ending that Will Surprise You! !